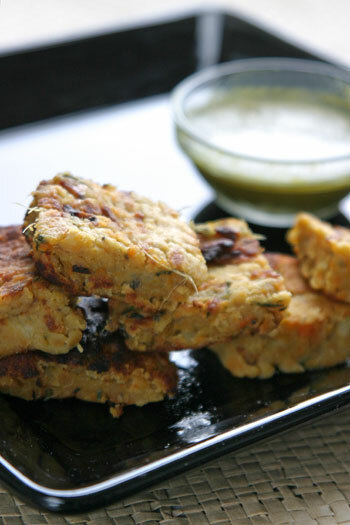 Okay, so I need to ditch vegetable kebabs in favour of vegetarian shammi kebabs. I’m more likely to plaster walls with this than fashion 40 little nibbles. I don’t ever want to hear the words “Madhur”, “Jaffrey” and “perfect” spoken in the same sentence. Panic stricken and distraught, I flung half a cup of flour into the dough, greased two shallow baking trays, spooned in the dough and stuck the whole lot into the grill. A bloodcurdling “honeeeeeeeey” drafted the man in to help, while I jumped into the shower, squeezed into skinny jeans, did my make up and skipped back into the kitchen. I arrived at the party on time, as cool as my cucumber raita. And mother of all suprises – the vegetable and lentil bites (as they had now been christened) were the biggest hit of the evening! Glass of vino is one hand, I lapped up the praise, claiming they had been ridiculously simple to make from a recipe I had been using for years. Perfection. Just the way I like it. Wash the lentils thoroughly until the water runs clean. In a large pot bring the lentils to boil with the whole spices, onion and ginger. Cook until you can squish the lentil pieces easily. I pressure cooked the whole lot for 10 minutes, after the first whistle. In the meantime, boil the potatoes and carrots until a fork can be inserted through them easily. Drain both the lentils and the vegetables. Remove all the visible whole spices from the lentils and combine it with the vegetables in the larger pot. Add the fresh coriander, pepper, flour and salt and mash well until you get a semi smooth dough. Pre heat the grill to a medium heat (gas mark 5, 190 degrees). Line a shallow baking tray with kitchen foil and grease lightly with a tablespoon of oil. Spoon and smooth the dough evenly into the baking tray. Grill for 15 minutes on one side. Cover the tray with a wire rack, flip the dough over and place back into the tray to cook the other side for another 15 minutes. Leave the whole lot to cool, cutting into bite-sized bits when ready. This is ideally served with dhaniya pudina or mint and coriander chutney. In a food processor, blend the whole lot. Adjust according to taste so if it’s too lemony add a handful more herbs and if it’s too spicy add a bit more yogurt. Chutney rules don’t apply. Well withy a glass of vino you can face any difficult step. Mallika, any non-flour substitute for the flour? Looks delicious and spicy excellent for snacks! Excellent snack for evening tea party. Normally I make with Mutton/Chicken kheema replacing vegetables. Those sound and look great. I’m definitely making them. But please explain “Chutney rules don’t apply”! Mallika, those look absolutely ‘perfect’. Those look delish Hun, I’m sure you outdid yourself this time! That’s going on my weekend “munch menu” ! Beautiful, heavenly, perfect!!! I love these, just as I love your blog!! came here for the first time!!! I’m hosting AFAM-Peach event on my blog, and would be great if you could send in an entry!! check my blog for details…hope to see some quick cooking from you with peaches!! different. i must try it. I love the lighting and photography you use. 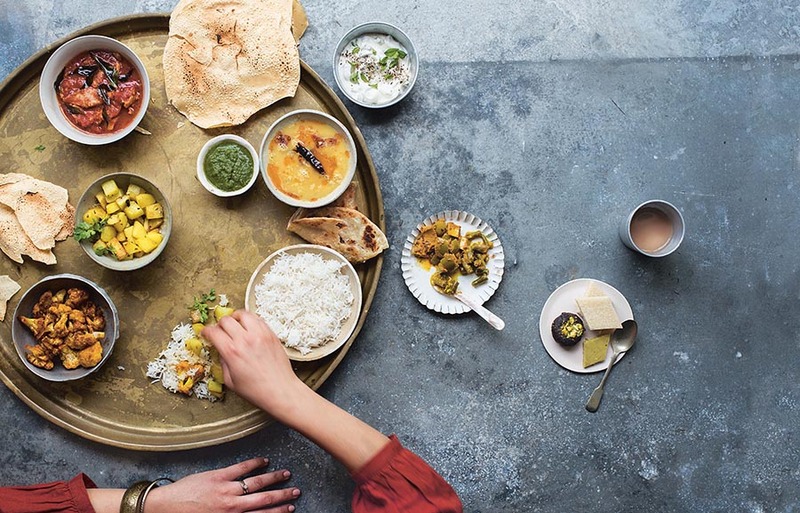 Perhaps your visitors might be interested in my site http://www.natco-online.com which supplies hundreds of Indian cooking ingredients. I hope you can allow a link. Nice job in diverting disaster! They look lovely! Excellent spicy snack. It reminds me of masala vada’s we make with channa dal. You have a awesome site. Oh, looks fantastic. Wanna come to my party? How about making something equally yum for my Spoonful of Christmas event?? This looks really tempting. I am surely going to make this very soon. it looks very yummy and healthy recipe .but i am not cook at all so did not get (gas mark 5, 190 degrees) line .pls clear i have a glass top electric gas do i need to preheat oven? Hi Kashish, those numbers refer to the settings on your grill. If you have an oven, it will work too and yes, preheating is recommended. You just need to use a medium high heat. I hope this helps. Good luck! Your blog is so informative retain up the great work!!!! I tried this recipe twice and both times it failed. No matter what I did, it was always too wet and the insides would dry / cook properly so the outer layer looked fine but it was like gloopy mashed potato on inside.